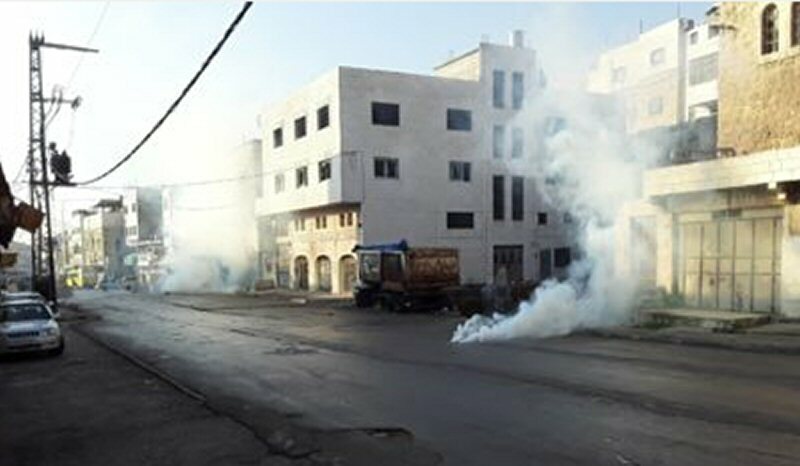 On the morning of February 14, 2019, ISM activists were forced to leave the Shuhada Street area as it was declared a closed military zone. The activists were monitoring the Qurtuba checkpoint, which is passed every morning by teachers and children going to school. Palestinians are regularly targeted and harassed by settlers and the military at this checkpoint. Over the 37 minutes that activists were present at the checkpoint, approximately 100 Palestinians were subject to its control and surveillance. 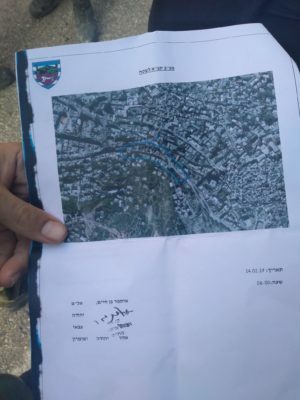 The declaration of a closed military zone came on the foot of a large coordinated settler attack on Palestinian families living close to this checkpoint. This took place on the night of February 12, 2019 and several people were injured. Significant damage was caused to Palestinian homes also. The following morning, ISM activists were forced out of the H2 area near Qurtuba by police with no explanation as to why. During this time, settlers moved freely with the police, harassing and filming activists as they were forced out. Footage can be seen here. On the morning of February 14th ISM activists were notified that a closed military zone had been declared for the day of February 14th. Prior to this, Anat Cohen, an infamously violent settler, assaulted an ISM activist. This was the fifth time in the past week that ISM activists have been assaulted by settlers. Leaving the Qurtuba area, activists joined others who were monitoring the Qeitun checkpoint. 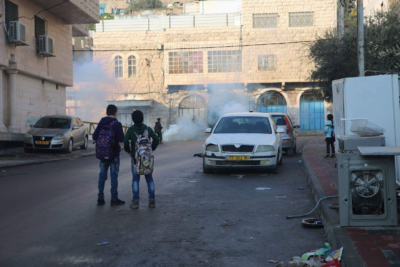 At Qeitun, Israeli forces fired 2 concussion bombs and 4 tear gas canisters at Palestinian people. One concussion bomb exploded very close to a mother and her baby. While thankfully there were no serious injuries, it is terrifying to think about the effect that such weapons would have on a newborn’s ears and lungs. 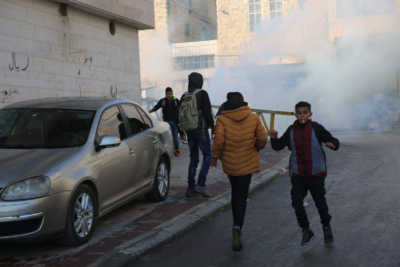 Unfortunately, unprovoked attacks and collective punishment are normalized and occur regularly under the illegal occupation of the West Bank. It has been said many times before, but it worth restating the saying that “existence is resistance”. Under these circumstances the peaceful act of trying to make your way to school or work is an act of defiance and courage. To do so is to stand up against the logic of systemic violence, oppression and land theft that is imposed by the Israeli State, its armed forces and settlers.